Well, if not big, then certainly many! This specimen was collected by the R/V “Dr. Fridtjof Nansen” and has been identified as part of our MIWA-project. 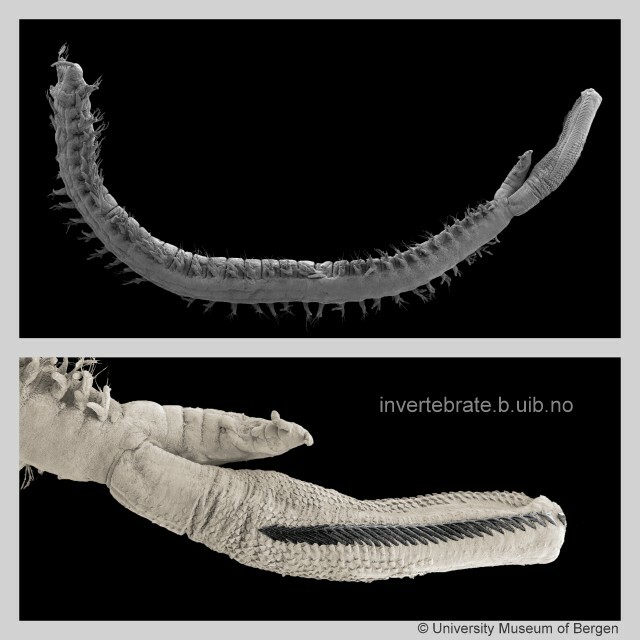 We’re working on a poster on the diversity of Glyceridae and Goniadidae of the region that will be presented at the 12th International Polychaete Conference in Wales this summer. This entry was posted in MIWA, Polychaeta, species identification on June 8, 2016 by katrine.